Friday the 13th this week has released a ton of new stuff all in lue of Comic Con hitting San Diego. Today two posters for the remake have been released and I have it for you below. Both posters are pretty bland, nothing too spectacular, but they definatley make the point. 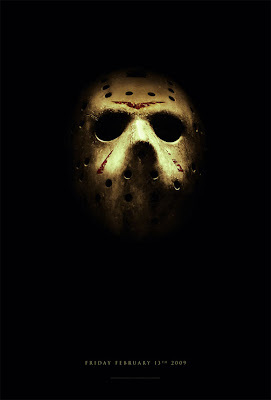 Jason Vorhees and Friday the 13th will hit theaters Friday Feburary 13th 2009! 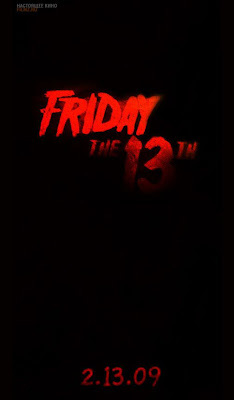 Scroll down for the new Friday the 13th posters!! What do you think? Does ths poster scream horror movie? Are you pumped for the remake? Did you like Platnium Dunes other remakes?